Colonial Fort Michilimackinac, in Mackinaw City, Michigan, was built between 1714-1715. It was originally intended to help control the fur trade that was booming in the northern Great Lakes region. Despite being an official fort, it wasn't really used as a military outpost. Instead, it was a "fortified community" of sorts. Now, however, the fort has been moved to Mackinac Island. The majority of the original fort was moved across the ice in 1780-81. Of course, there’s a ton of awesome stuff to do on Mackinac Island. But the Fort should absolutely be a stop you make. It truly is a trip back in time. There are regular reenactments of the French surrender, daily tours, and so much more. There are 16 buildings total at the Fort, all of which are decorated in true 1700’s fashion and are staffed with educated professionals – all dressed the part of 1700’s soldiers, traders, trappers, etc. – to give you more information on the Fort’s history. There is also a live archaeologist dig happening on site. The dig happens every summer, and it has been going on since the summer of 1959. To date, it’s the longest ongoing archaeological excavation in the United States. While you’re at Colonial Michilimackinac, make sure you check out the cannons and the Kid’s Rendezvous – which is a playground intended to map the route of old fur traders. They also have several special exhibits going on right now. France at Mackinac showcases how the Fort existed under French regime from 1670-1760. Treasures from the Sand explores what historical archaeology is, and it’s place in Colonial Michilimackinac. Powder Magazine uncovers the military ruins at the Fort, and Redcoats on the Frontier is a kid-friendly exhibit that dives into what the British’s lives were like at Fort Michilimackinac. The Fort is open through early October – which means you’ve got tons of time to get up to Mackinac Island for a visit! Enjoy a day exploring the Fort, and grab some fudge (so we can live vicariously through you, of course)! St. Ignace is just across the bridge and is a wonderful spot to visit if you're heading out on a Michigan summer road trip this season. The small city is surrounded by both Lake Huron and Lake Michigan and has several awesome attractions to check out with the family. Yes, it's a little bit cheesy. But who doesn't love a cheesy roadside attraction? It's especially amazing if you're driving multiple kids across the state and they're getting antsy in the car. The Famous Mystery Spot has...well, if we told you it wouldn't be much of a mystery. Just kidding! We're all for ruining the surprise. It's a tour of the "spot," mini-golf, a maze, and there's a zip-line, as well. The perfect way to start your trip to St. Ignace! Who doesn't love cute deer? At the Deer Ranch you can buy cups of deer-friendly treats to feed them. Kids love getting to watch the baby fawns play. Staff is friendly, and the cost of entry isn't crazy expensive (Around $5/person to enter, $1 for a cup of deer food). If you're in St. Ignace, Castle Rock is a must-see. The rock itself is about 3 miles outside of St. Ignace proper (go North on 75). The stunning rock fixture overlooks the lakes - an absolutely stunning view. Additionally, they have the Paul Bunyan and Babe the Blue Ox statues are there. That's a bucket list type of item! ﻿There's so much to do in downtown St. Ignace! To start, there's a very cool Native American museum that's worth a visit. There's also a ship museum and a lake snowmobile museum. If you're thinking of eating out, try Clyde's Drive-In. They're known for their delicious burgers (like their famous pizza burger) and are right next to the bridge. Of course, this is just a small snapshot of St. Ignace. There's so much more to see and do! Being right on the water, there's ample opportunity for outdoor recreation and beach days. There are several lighthouses to go see and multiple festivals that go on every season. For more information and to plan your trip, head over to Pure Michigan to learn more about St. Ignace. Michigan summers are usually filled with Michigan beaches. That could be because Michigan is known to have more than 11,000 lakes, and according to the Michigan Historical Society you physically can't be farther than six miles from a lake at any given time in the mitten state. In this week's summer series post, we wanted to highlight a few amazing beaches - big and small - that are worth a visit. So grab your sunscreen - it's time to get outside and squish your toes in the sand! This beautiful space nestled between Lake Michigan and the Grand River is absolutely stunning. Of course, don't forget to check out the Grand Haven lighthouse or the Musical Fountain nearby. This sandy shore is kind of an expected addition to any list of amazing Michigan lakes. But that doesn't mean it's not absolutely stunning! The dunes themselves are a blast to climb with kids or friends, the ghost forest that's been buried and uncovered by the shifting sands is worth checking out, and there is no shortage of long hikes along the beach to take or long, winding drives to go on. Rogers City, also known as the Salmon Capital of Michigan, features miles of sandy beaches along Lake Huron. Their Lakeside Park provides beach access, and there are often events or summer concerts that you can attend, as well. This is one of Michigan's most popular beaches along Lake Michigan. It's popularity makes sense, the views are stunning, the lighthouse ("Big Red") is beautiful and unique, and there's a plethora of campground offerings if you're looking to do an extended stay. Of course, Holland itself is pretty cool, too. The city's Dutch origins shine through in the many museums, distinct architecture, and their Windmill Island Gardens. Definitely worth the trip! Caseville is an excellent place to hit the beach if you're looking for a small beach town vibe that's close to home. Located about two and a half hours from Detroit on Saginaw Bay, they have it all - from sand dunes, to forest hiking, to an adorable downtown center. They also have multiple state parks with beach access - Caseville County Park, Sleeper State Park, and Philip Park. This lovely, small beach is at the beginning of the stunning Pictured Rocks shoreline. The beach itself is beautiful, and the adorable downtown is definitely worth a visit if you're looking to get away from the waves or just out of the sun for a minute or two. What's your favorite Michigan beach to visit? Favorite beach town? Let us know in the comments! Do we have any running fanatics out there? Or maybe you're just a beginner looking for some great running spots around Michigan? We've got you covered in today's summer series roundup. Running in Michigan during the summer is beautiful, and it's a great way to see parts of this great state that you otherwise might not have. Plus, it's not as time-intensive as a full blow backpacking or camping trip. Head out for a run on one of these trails to get your daily dose of Michigan's great outdoors this season. Living in the city but wanting to experience Michigan's more outdoorsy side? No problem. The Detroit Riverwalk has some amazing views. Recent efforts to revitalize the waterfront area have seriously paid off - and runners are reaping the rewards. Plus, you're on the trail the whole time, which means there's no battling with the heavy traffic Detroit can be known for. This trail is 10.5 miles long, and snakes through Traverse City. There aren't a ton of hills which makes it perfect for newbie runners and seasoned pros. Plus, who can say no to those beautiful bay views? It's ideal if you're already living in that area, or if you're taking a summer trip up north. Perfect place to sneak a waterside run in! With over 17 miles of trails, Millennium Park is the perfect spot for runners in the Grand Rapids area. The trail is a mixture of crushed limestone and paved stretches, which is great for getting use to running on different surfaces or just mixing it up and keeping from getting bored. All of the trails within the park are connected, which makes it easy to determine the length of your run and vary each trip out. Runners can also enjoy scenic views of Grand Rapids, a splash pad, and waterfront areas. If you're located more towards the center of the state, you can't go wrong with Lansing's River Trail. The trail is incredibly extensive, but the section that runs through East Lansing down through Lansing's downtown is stunning. Enjoy views of Michigan State University's stunning campus, and enjoy getting to run alongside the Red Cedar River for the entirety of your route. This week we're taking a look at all the best places to go on multi-day backpacking trips around the mitten. There are some great areas here, and they're all different levels of difficulty depending on how avid of a backpacker you are! We've talked about hiking on North Manitou before, and we stand by it. It's one of the best areas in Michigan to get away and get in some quality time with the great outdoors. Generally speaking, South Manitou is geared more toward families and large group camping trips. North Manitou has a few more trail options if that's what you're looking for, but they also have a handful of camping sites near the dock area. We like that South and North Manitou are both islands - it gives you an added sense of "escape" when you're heading out on the ferry. If you're looking for a challenging hike, Isle Royale National Park is the way to go. We've reviewed this hike before, as well, because it's just that good. What other hiking trip takes place on an island in the middle of a lake - that contains another lake and island within that island. It's pretty cool. Plus, Isle Royale National Park offers amazing views, awesome encounters with wolves and moose, and so much more. It's a bit of a trip to get there - you have to take a ferry or sea plane - but it's well worth it. This hike is a no-brainer. Of course it made our list! The views that Pictured Rocks National Lakeshore has to offer are breathtaking. From the crystal clear, blue lake water to the amazing overlooks and sheer cliff faces, you'll never be bored. Additionally, Pictured Rocks National Lakeshore offers additional experiences that you can add-on to your backpacking trip. Maybe you're more interested in backpacking and kayaking? That's absolutely possible here. Be sure to check it out this summer. Think that you can't get in a good mountain backpacking trip in Michigan? You'd be wrong. The Porcupine Mountains offer a bit of a different hike for Michiganders looking for a bit of a challenge. Located up north, the trails cover a lot of ground and you're bound to see rivers, small waterfalls, birds, lake views, and a variety of unique wildlife. We've read that The Lake of the Clouds trail head is a good starting point. Get out there and have fun! If you're anything like us over at The Michigan Outfitter, you want to get outside and enjoy Michigan's summer sun! We're going to be putting together some blog posts over the next couple of weeks with ideas for different ways you can get outside and get active this summer - either alone, with family, or friends. Welcome to our Summer Series! The Grayling Bicycle turnpike is a 10.2 mile long, 10-foot wide, paved trail. You can access it at many different points, but the Michigan Trails website recommends you start at Hartwick Pines State Park. The trail passes two separate lakes, so you won't be short on scenery for your ride. This is a 17 mile long paved path in the UP. If you're looking for something unpaved, the southern section of the trail connects with the South Trails Trailhead of the Noquemanon Trail Network, which has more "off road" types of trails for you mountain bikers. Who doesn't want to bike alongside the Kalamazoo River? This trail winds through natural preserve areas, parks, residential neighborhoods, and the downtown entertainment district. The trail is currently 22 miles long, all paved, and they're consistently adding to it. This trail winds from Lower Huron Metropark to Lake Erie Metropark for 24.5 miles. If you're in the area, this trail is the perfect mix of river, forest, meadows, and beautiful bridges to keep your bike ride interesting. Plus, with limited amounts of city-riding and multiple access points, it's good for families, too. None of these trails piquing your interest? Check out this huge online resource of Michigan bike paths to find one close by (or far away if you're looking to take a trip!). We're always looking to add new trails to our list of favorites. What's your favorite bike trail (paved or dirt) in Michigan? What makes it so awesome? Let us know! Summer is right around the corner, although "unofficial" summer is basically already here. In Michigan, summer means several things - and not all of them are nationally recognized signs of summertime. Nope, these ten things are unique to the mitten. Do any of them make you think of sunny summer days? In Michigan it's impossible to be more than a few miles from a lake at any given time, no matter where in the state you are. So, naturally, when summer rolls around we automatically associate the longer days and starry nights with lots of time by the water. Whether it's swimming, fishing, boating, or riding jet-skis, we pretty much live for splashing around as soon as the weather's hot enough! Summertime for many is just "baseball season." Michiganders live for cheering on their Tigers all summer long. Believe it or not, bonfires are not as prevalent everywhere in the country. Some places in the United States that experience droughts aren't even allowed to have bonfires. Crazy, right? In Michigan, we all associate sitting around the fire pit (or a gigantic barn party bonfire) with the long, crazy nights of summer. These amazing little bugs don't live everywhere, but in Michigan we sure recognize them as a sign of summer. Kids (and, let's be honest, adults) chase them around and catch them in jars or tupperwares, making a make-shift nightlight. Maybe we're just all a little kooky from being cooped up inside all winter long. But in Michigan summer means being outside, and there's no better state to adventure in! There are countless trails, hiking and biking paths, and waterfronts or rivers to canoe. In the summertime, we Michiganders love to throw on our hats, pack the sunscreen, and set off into our next great exploration. Michigan's natural beauty is amazing - and we love nothing more than staring at the stars from our tent or grilling out on the campsite with family and friends during the summer. It's time to soak it up! While mosquitoes are nobody's favorite part of a Michigan summer, they sure are widely accepted as part of the deal. While some people take big, crazy trips to other states or countries, in Michigan most people just drive to somewhere else...within the state. There's just so much to see and do! From the Silver Lake Sand Dunes to kayaking at Pictured Rocks, there are thousands of adventures all just a few hours away and completely accessible for the whole family. Summertime means loading everyone up in the car and road tripping somewhere awesome or visiting a cool new spot right in your own backyard. We know other places get hot in the summer - but do they get Michigan hot? That lake effect really traps us in the humidity bubble. This one's kind of a given. After all, there really are only two seasons in Michigan - winter and construction. How do you know it's summertime in Michigan? Do you see, hear, or do anything awesome? Let us know! Isn't that crazy? We officially have less than 10 days left. Summer starts "officially" on June 20th (although the crazy hot days we've been having lately lead us to believe otherwise). We wanted to do a kind of Michigan-summer-roundup for the occasion. Here are a few things to be thinking about now that summer is almost officially here! Head to the UP. Whether you go to Traverse City, Mackinac Island, or get a little more outdoorsy with a trip to Isle Royale, up north is always a good choice. Take a road trip. Michigan has so many cool spots - pack up the car and head out! And, of course, don't forget the road trip snacks. Go camping. What better time is there to see Michigan's beautiful outdoors than summer? Days are long, nights are starry. Plus, if you don't want to take the kids to a campground you can always pitch a tent in your backyard for a more low-key "staycation." Michigan has so many beautiful nature areas to explore - some of them are probably right in your own backyard! Whether you like adventuring on the water, taking a hike, or just walking around the block, make sure you get outside and enjoy the sunshine. There's no doubt that summers in Michigan offer a ton to do. Take advantage of all the local eateries and events! Looking for a cool place to stop and grab a bite? Check out these breakfast places for divine eggs benedict, pancakes, or whatever your heart desires. Decided to go to the UP? These pasty shops aren't to be missed. Got a sweet tooth? We've got you covered, too. And, of course, no summer would be complete without just way too many donut runs with the kids. But what about stuff to do? Greenfield Village is magical for so many reasons - here's our all-inclusive list of what you should do while you're there. We also love water parks and/or amusement parks. What better way to spend a summer day? And, of course, when in doubt - head to Michigan's website for more event ideas. Whatever you do this summer, we hope you enjoy it! If you haven't seen it yet, you absolutely have to take a look at Only in Your State's Ultimate Michigan Road Trip guide. We love how many amazing cities and areas of the mitten that they manage to hit. Definitely will be scheduling some time this summer to do at least a chunk of this trip! But what if you don't have enough time to road trip for this long? We're going to highlight five of our favorite spots around Michigan that Only in Your State hits on their road trip. That way you can pick and choose - or hit all of them at different times. Whatever works best for you! Alpena is a beautiful little corner of Michigan! If you haven't been, you should absolutely pay this town a visit. There's a winery, several parks, Starlight beach, fishing charters and tours, and several maritime museums and sanctuaries. There's something for everybody! Holland is one of the most stunning areas in Michigan to visit! Whether you want to hit the Holland State Park Beach on Lake Michigan or walking along the famous tulips during spring, Holland is incredibly fun. Plus, we've heard Good Time Donuts is amazing - and what more do you need in a road trip and vacation than the beach and donuts? Like most places in Michigan, Ludington is known for their beach. However, they also have a children's museum and a historic district for touring. You should also consider renting a canoe for some outdoor adventures or checking out their event and festival calendar to see if you can time your trip with something cool this summer! Looking for somewhere amazing to go closer to the Detroit area? Port Sanilac is only 90 miles away and it has a whole host of traditional Michigan summer activities for you to do! It's on the edge of Lake Huron and they have hiking, biking, boating, fishing, and a wide variety of other outdoorsy services available. They also have a stunning golf course, Huron Shores Golf Club. Port Sanilac is also known for their amazing dining options - check out Stone Lodge or Uri's Landing! South Haven has multiple orchards, which makes them a unique place to go on your Michigan road trip this summer. Overhiser Orchards and McIntosh Orchards are both excellent places to pop in. Grab the kids and enjoy a day doing U-Pick at Overhiser Orchards (cherries are in season soon! ), or if you're looking to do a more adult-only road trip, McIntosh Orchards offers fruit wine, hard ciders, excellent food, and tours! How about you? What are your favorite Michigan road trip destinations? Any fun stops you always visit on the way? Who doesn't love that friendly small town feeling? Luckily, in the great state of Michigan, we have a lot of quaint small towns that are well worth the visit. Whether you love to hike and bike, or you want to splash around in the lake, Michigan's small town scene is sure to have something to offer you. We've put this list of five amazing small towns together for you to glance through. We sense a long weekend in your future! This goes without saying. Frankenmuth is one of the most fun small towns you can visit - in Michigan or anywhere else. From Bronner's Christmas Wonderland to their world famous fried chicken, Frankenmuth is the place to be. Home of Hillsdale College, this cute little university town is bustling with cozy coffee shops and unique bars and restaurants. The old, stately Victorian homes lining the streets make for an interesting tour of the town, as well. Leland, or "Fishtown," is an amazing place to visit. It's located near Traverse City, but provides the comfortable small town atmosphere you don't want to miss. Whether you're taking a boat out to North or South Manitou Island, or you just want to visit the Village Cheese Shanty (known for their amazing sandwiches, Leland can't be beat. Petoskey State Park is a great spot to take in some of Michigan's natural beauty this summer. And if you're not really an outdoorsy type of person? Petoskey, though still a quaint small town, offers tons of things to do. You can visit the Mackinac Trail Winery, the Odawa Casino, or take a walk through the town's Historic Gaslight District. Make sure to hunt for some unique Petoskey Stones! Cadillac is one of Michigan's best family vacation spots. It provides all of the lake fun you could possibly want, plus a few museums and historical societies to tour if the weather's not great. Check out their website to see if any festivals or fun, family-friendly events are going on during your visit! What's your favorite Michigan small town? Let us know in the comments! Michigan is filled with stunning natural beauty. From the great lakes to the Sleeping Bear Dunes, sprawling forests to the wide open fields, there is always somewhere beautiful to explore. One of Michigan's best-hidden gems is Isle Royale National Park. This small island is out on Lake Superior, between Michigan's UP and Canada. The only ways you can access the island is via sea plane or ferry. Both options have a rather restricted schedule, but are worth exploring. Cross-hiking the island is difficult, and there are essentially two trail options to pick from if you're looking to hike the length of the island. Of course, there are other, shorter trails, as well. It all depends on what you're looking for! Experienced backpackers who would like to hike across the island from Windigo to Rock Harbor (or the other way around) are looking at a 4-6 day hike that averages to be about 40 miles. Windigo does have campgrounds and some covered camping shelters, as well as a few "camper cabins." However, if you're not interested in tent camping, Rock Harbor Lodge is a beautiful place to stay. The lodge has both cottages and lake-facing rooms. They also have two restaurant options, fishing charters, and sightseeing tours available for visitors looking for some guided adventure. Isle Royale is a unique destination for any nature-lover or backpacking enthusiast. The island is full of interesting wildlife and gorgeous views. The moose and wolf population alone is often enough to pique the interest of travelers - and we can see why! Falling asleep to the sound of wolves howling on the island is pretty amazing. And, of course, that's not even taking into account the scenery! Isle Royale is an island in the middle of Lake Superior. However, at the center of Isle Royale, there is another lake with another island on it. So, yes, at some point you could be hiking on an island in a lake on an island that's in a bigger lake, which is pretty cool. Only in Michigan, right? Have you ever hiked Isle Royale National Park? Do you have any other amazing Michigan hiking destinations you love? Let us know in the comments! All food is good, but breakfast food that's worth getting out of bed for on a Saturday? That's the stuff dreams are made of. While Michigan is full of amazing breakfast joints, we want to highlight these five - all of which have received stellar reviews and have countless delicious options on their menus. Whether you're an eggs benedict person or a waffles and pancakes kind of breakfast lover, we've found something for you! Brooklyn Street Local is a breakfast and lunch place in Detroit. They feature locally sourced ingredients, and all of their menu offerings are freshly prepared. Their poutine is said to be legendary - and their brunch menu has a wide range of offerings from a few different types of eggs benedict to banana walnut pancakes. Not into the breakfast stuff? Their lunch menu looks equally extensive and amazing! Lansing's Golden Harvest is a kitschy spot with a unique menu that features constantly changing daily specials. People have been known to travel across the state just to check out their new specials and enjoy the fun ambiance. The place is small and there might be a wait, so get there early! If you're looking for a fun place to grab breakfast or brunch around the Grand Rapids area - Marie Catrib's is it. They take an active role in the Grand Rapids community, and Marie (yes, she's a real person!) founded this restaurant on one main principle - everything they serve is delicious and full of unique flavor. Their breakfast menu is varied, and they even offer sweet potato pancakes! Plus, they offer an extensive lunch/dinner menu and baked goods. Cafe Zola is Ann Arbor's go-to breakfast and brunch hot spot - and we can see why. One word: crepes. So many crepes. They have sweet and savory options, but it doesn't stop there! "Zola's Favorites" include delicious choices such as Turkish Eggs and Crab Cake Benedict. In fact, there may be so many options you have a tough time deciding. Schedule some extra time for menu-perusal. If you're in the Leland/Traverse City area, Early Bird Restaurant should absolutely be on your "to go" list. Their service is friendly, and their breakfast offerings are classically executed - the perfect addition to any morning up north. These are just a few of Michigan's many amazing breakfast options! What are some of your favorites? Let us know in the comments! Michigan has a lot of beautiful locations. Whether you're a lover of the great outdoors, or you're more of a B&B on Mackinac kind of person, there really is something for everyone. There are even several interesting abandoned places around the great mitten state. These eerie spots, highlighted in this article on Thrillist, hold interesting histories and stand in a state of preserved decay. The Northville Regional Psychiatric Hospital opened in 1952 and closed 50 years later. Since then, it's sat in a state of abandoned ruin. The building became overcrowded in the 1970s and 80s, and eventually closed down. Historical accounts from people who knew someone at the hospital paint the establishment in a fairly negative light - the overcrowding due to the recession and cuts in funding led to overmedicated patients, understaffed shifts, and a generally unorganized system. Many locals visit the hospital, although trespassing isn't permitted. Some say it's haunted, while others are just fascinated by the abandoned hospital and the state of preserved decay it currently is in. The hospital can be seen from the road, and it's not suggested that people try to go in. Rules against trespassing and the clearly placed "Do Not Enter" signs aside, the building is in bad shape with broken windows, a leaking roof, and a bad wildlife infestation, making it fairly dangerous. The Detroit Belle Isle Zoo originally opened in 1895, and was abandoned a little over a decade ago in favor of the new Nature Zoo in Belle Isle. The zoo was converted into a children's zoo after the still-standing Detroit Zoo opened in 1928. Now, the abandoned zoo is overgrown with a wide variety of vegetation and wildlife. Some have called the abandoned ruins "nature's zoo" now, as wildlife has completely taken it over when it was shut down and left to decay. Scrappers have taken most of the metal that once was part of the zoo's buildings and structures, and the raised boardwalks that used to guide countless families to the zoo's big and busy attractions are now collapsing. For the full list of Michigan's 11 most amazing abandoned locations, be sure to head over to Thrillist and do some exploring! Have you ever been to one of these famous abandoned spots on Michigan? What did you think? With spring getting started and summer right around the corner, we at The Michigan Outfitter want to make sure you always know about the best up and coming events happening around the mitten. Getting outside, or involved with your local community is one of the best ways to see all that Michigan has to offer. And, honestly, it beats binge-watching t.v. yet another weekend in a row, right? This week's event spotlight is the 4th annual Beerfest at the Ballpark. The Beerfest is going to be on April 29 in downtown Lansing, Michigan, from 3-8 PM. This event is especially cool because it's hosted at the Cooley Law School Stadium, home of the Lansing Lugnuts. Plus, the event hosts pledge to put on the event come rain or shine. So, pack your poncho and umbrella if the forecast is rainy! There will be over 60 Michigan breweries at the beerfest this year. Additionally, there will be several cideries and distilleries from Michigan, for those of you who aren't huge beer fans or just want to mix it up. Tickets this year are $30 in advance and $35 at the gate. For VIP tickets, it's $40. Beerfest at the Ballpark also offers designated driver tickets for $15. Each regular ticket includes 10 tasting tickets good for a 3 oz pour/ticket. Additional tasting tickets can be bought for $5 each. While you're there enjoying some of Michigan's delicious craft brews, you can also enjoy some delicious food and awesome music! Beerfest at the Ballpark has a wide variety of local food fare available for purchase at the festival. And, of course, they allow traditional beerfest pretzel necklaces in to the stadium should you choose to make and wear one. Citizen Zero, a Detroit-local band, will be headlining the event, and before they go on the Lansing Vaudeville Spectacle will be performing, followed by Delilah Dewylde. On the acoustic stage, you'll be treated to the likes of Mark Warner, Rachel Curtis, and Shelby and Jake. So, if you've got nothing planned for April 29th, consider heading to Lansing for this fun event! Live music, good food, and great beer - you really can't go wrong. If you're looking for an exciting hiking trip or vacation, look no further than North Manitou Island and Leland, Michigan. North Manitou Island is the more "hiker friendly" of the two Manitou Islands, with South Manitou Island being more for camping and large groups. North Manitou has fifteen thousand acres of wilderness, and their trails are clearly defined. They also have several areas where you can pitch camp at a camp site if you prefer that, or they also encourage off-trail camping. North Manitou is stunning to hike, especially in the summer and early fall months when weather in northern Michigan is favorable. The entire island is full of abandoned barns, homes, automobiles, and more that have been kept in a state of natural preservation since the park service bought the land. Each "spot" or home has its own unique backstory, and taking several days to hike the entire circumference of the island. On the island, there are about 23 miles of well-maintained trails, and hiking over the course of a long weekend is a good idea so you can take your time to see all of the interesting historical areas. If you're more interested in completing day hikes, the camp site near the main dock area is a great place to pitch your tent. It's right by the beach, and fires are permitted in the fire pits. Looking to make your vacation an extended one? Check out Leland, commonly known as Michigan's Fishtown! The ferry to the islands comes out of Leland, so it's an excellent place to stop by and explore. It's an outdoorsy area with amazing hiking and biking trails along their beaches and roads. Additionally, you can check out their historical museum, rent a boat, or go fishing. What a great way to end your UP trip! Michigan is full of amazing hiking locations, and North Manitou Island is just one of many. But it's stunning views, interesting history, and easy-moderate trail difficulty makes it a great place to go if you're looking to spend a long weekend in Michigan's great outdoors! If you're looking for something interesting to do this month, look no further than this cool event in East Lansing! The 2017 Michigan State University Science Festival starts this weekend and runs April 7-23. In the Molecular Plant Science Building Atrium, this event has tons of hands-on activities for kids 7 and younger. It runs over this weekend, from 4/8-4/9, and is a great way to spend the weekend in a fun, learning environment with the little ones. Ferris Coffee from Grand Rapids is leading two presentations on Monday 4/10 on the science behind coffee. Register for either the 5:45 PM or 7:45 PM presentations and learn all about the culinary science, machine innovation, and agricultural/environmental practices behind coffee. This event, on Friday April 14th from 5-8 PM, explores conservation and the natural world. There are tons of hands-on activities at the zoo, including how to be an animal chef, or having up-close encounters with live animal ambassadors. With spring around the corner, zoo season is almost in full effect, and this is a great way to kick it off! MSU's indoor 4-H Children's Garden is hosting a fun Butterflies in the Garden event on 4/15. Learn about multiple kinds of butterflies, explore the butterfly life cycle, and learn fun butterfly facts with the guides and Smart Signs. Can't head over on the 15th? The butterfly garden is open weekdays 2-4 PM and weekends 10 AM-4 PM. With the weather warming up many Michiganders are itching to hit the trails and get hiking. We can't blame them! Springtime in Michigan is stunning, and outdoor-activity lovers can take full advantage of the beautiful greenery and new blooms with a hike along the Jordan River Pathway. The Jordan River Pathway is located in the northern part of Michigan's lower peninsula. It's just a little north of Mancelona, Michigan, and is about a 2-3 day, 18.8-20.3 mile backpacking trip. The trail is a loop, making it easy for backpackers to return to their vehicles without having to plan for a pickup at their end destination. It’s good to keep in mind that the trail isn’t an easy trek – the Michigan Trails Map rates it as a moderate to challenging level of difficulty. The trail dips in and out of a valley, and there is a walk-in campground near the halfway point. Because the trail follows the Jordan River closely, there is a ton of interesting wildlife in the area – including beavers, raccoons, minks, otters, waterfowl, and herons. If you wanted to make it a longer trip, you could break the mileage up into shorter increments each day and explore some of the interesting off-trail sites. A quick trip off the trail takes you to the Jordan River National Fish Hatchery. They create 3.0 million lake and brook trout to repopulate the Great Lakes Region every year. You can tour the main hatchery, visitor center, or schedule a guided tour and take a lunch break in their picnic area. You should also make sure to catch a few of the amazing natural scenic points on your trip. Two that seem especially amazing are Deadman’s Hill Overlook and Landslide Lookout. Both are just a few miles off the trail, and both provide panoramic views of the Jordan River Valley and the Mackinac State Forrest. If you are planning on taking on the Jordan River Pathway in the springtime, keep in mind that since you’re near a major waterway there will be mosquitoes. Pack insect repellent, make sure your tent is completely bug-proof, and dress appropriately for the notoriously finicky Michigan spring weather. Michigan is an amazing place to explore the great outdoors – and after this long winter, we’re ready for spring to get started. Do you have a favorite Michigan spring hike? Tell us about it in the comments! Michigan is an incredibly outdoor-oriented state. There's just so much to do here in the beautiful mitten! One of our favorite ways to spend a spring day here at The Michigan Outfitter is breaking out the kayak and hitting one of Michigan's many stunning waterways. There's no better way to explore our state's natural beauty than by paddling around! But you don't have to travel to the UP or towards Lake Michigan to enjoy a fun day of kayaking. Instead, try exploring Detroit's canals for a unique view of motor city. In recent years, the Detroit river has become an increasingly popular destination for paddlers in the metro Detroit area. Due to improvements in the water supply, there has been a resurgence in wildlife there, and more and more people are viewing it as a recreational waterway rather than an industrial one. This means that you might spot walleye or a bald eagle as well as enjoy the stunning Detroit skyline! If you're looking to strike out on your own, you should check out the Detroit Heritage River Water Trail. It's divided into four unique segments, starting near Belle Isle and ending near Wyandotte's Bishop Park. Each segment has multiple trail routes for you to pick from depending on the kind of scenery or level of difficulty you're looking for, so you can truly customize your trip. Not interested in going it alone? No problem! There are several awesome companies who provide guided kayaking tours. One such company, RKC Adventures, has a huge variety of tour types to pick from. Through their company, you can tour the lagoons of Belle Isle or take a historical trip through the Detroit canals. With the weather getting warmer, we're excited to start spending more time in Michigan's great outdoors. How about you? What's your favorite Michigan outdoor activity? Do you have a favorite kayaking spot? Let us know in the comments! We'd love to hear about it. What Michigander doesn't love chocolate? With the spring season coming up, and those spring-time holidays flooding the grocery stores with sweets of every kind (egg-shaped Reese's, anyone? ), us adults might want to indulge a little bit, too. Luckily, right here in Detroit, there is a legendary chocolatier that you probably haven't heard of. They're called Bon Bonbon, and surprise, surprise, they specialize in bonbons. But the delicious so much more than that. Their imagininative sweets collection ranges from earl gray flavored ganache to Vernor's candied ginger (a bon bon that any true Michigan local will fall in love with). Bon Bonbon has been so successful around the Detroit area that they recently opened a second Detroit location. That's a lot of confection creations! Owner, Alexandra Clark, has genuine passion for her work and is proud to call herself the "founding chocolatier." She has traveled the world to learn more about chocolate making, and has settled in Detroit to share her artistry with us lucky locals. They've been featured in Thrillist as one of the best places to go on a winter date night in Detroit, and we can see why. Bon Bonbon doesn't believe in chocolate with all the frills and fancy packaging. They market themselves to true chocolate lovers who aren't looking for a chocolate shop where the packaging costs more than the chocolate (and honestly, who wants that?). Their unique, small-batch recipes make it easy for them to change their menu regularly and cater to their fans. Not near Detroit? They ship, too! What's your favorite place to go grab a sweet treat in Detroit? Let us know in the comments! Bronner's Christmas Wonderland may be legendary throughout Michigan, but have you ever visited Frankenmuth to check out the Bavarian Inn? Or how about Jellystone Campground? Frankenmuth has so much to offer! Pencil in a weekend trip to make sure you have plenty of time for all the fun activities. This amazing inn and restaurant is a vacation in itself - take a look and see what we mean. Of course, we couldn't possibly talk about Bavarian Inn without mentioning their uniquely made, world-famous fried chicken. The Bavarian Inn uses a special recipe and is very particular when purchasing chicken to prepare and serve in their restaurant. Since the restaurant opened in 1888, they've been promoting "family-style chicken dinners" as their specialty. The Bavarian Inn's Family Fun Center boasts a water park, mini-golf, an arcade, karaoke, and a pool. Additionally, there's a Bavarian-themed children's play village complete with a quaint cottage-esque play place and a slide. There are also multiple different swimming areas. There is, of course, the water park where you'll find slides and a splash pool; there is also a waterfall pool and an adult pool. With so many different ways to have fun, there's really no way you to lose. And with the pools all being indoors, travelling in the winter or early spring is a no-brainer. You can't have a Bavarian-themed inn without authentic beer and wine tasting! The Inn offers a wide variety of Guest Experience packages that include different tasting sessions - for beer, wine, and food. Want to get more involved? Try one of their pretzel rolling or streudel making group lessons! There are also several shops and multiple restaurants to select from during your visit to sample even more unique Bavarian offerings, if you're more interested in a casual, self-led kind of taste testing. Overall, the Bavarian Inn offers a kitschy, fun lodging experience for adults and kids alike. While many people visit Frankenmuth to check out Bronner's Christmas Wonderland - be sure to stop in or stay here next time you go to add a fresh take on your trip! Yogi Bear's Jellystone Campground in Frankenmuth is located in the Bavarian Village and it offers a great option for more outdoorsy types. The park is open May through December, and they offer traditional tent and trailer camping as well as cottage, cabin, and vintage trailer options. Be sure to check their calendar before your visit to see what they've got going on. Looking for something to do during your visit? The Wilderness Trail Zoo, located just outside of Frankenmuth, is a hidden jewel. Open May through October, the zoo has petting zoo, animal feed stations, animal viewing, a reptile sanctuary, and a picnic area. Stop in and enjoy this hidden treasure! And, of course, check out our merchandise! If you're planning to do a little shopping on your trip, be sure to stop in at The Michigan Shoppe at the outdoor mall and The Iron Gate Emporium to check out The Michigan Outfitter products. Do you have a favorite Frankenmuth experience? Share it with us in the comments! Grand Rapids, Michigan, is known as "Beer City, USA," and they're living up to their name with a month-long beer and food celebration - Cool Brews. Hot Eats. Thrillist recently named Grand Rapids the best food city in Michigan, and since February 15-March 15 is the month that Beer City has dedicated "beer month," the celebration of all the excellent brews and eats you can find in Grand Rapids is only fitting. The event includes many participating breweries and restaurants, all of whom are offering up food and beer pairings for guests to test out. The event site, which can be found on Experience Grand Rapids, has a list and a map view to help you plan your Cool Brews. Hot Eats. trip. Cool Brews. Hot Eats. also boasts several festivals and events that fall within the month, put on by the local breweries and restaurants who are participating. For example, Tree Beer, a Brewers Grove project is an initiative where local GR breweries are brewing up some tree-themed offerings throughout Beer Month and proceeds go towards tree plantings and the Friends of Grand Rapids Park's Urban Forest Project. Or, if you make the trip to GR for Cool Brews. Hot Eats. between March 6-11, you can drop in and experience Founders' KBS Week - where they're celebrating the release of their Kentucky Breakfast Stout brew. KBS is an imperial stout brewed with coffee and chocolate in oak bourbon barrels for a year, "in the caves of Grand Rapids." Even if a bourbon-aged stout isn't your thing, make sure to get out and visit one of the participating restaurants or locations before March 15th. Because finding your favorite craft beer in Beer City, USA, is Pure Michigan. Greenfield Village, part of The Henry Ford experience, is not to be missed. From stunning old buildings, beautiful gardens, family friendly activities, and endless time-period authentic food and dining options, there’s something at Greenfield Village for everyone. Walking the entire village could easily take all day, and you’ll get lost in the different historic displays and amid the exciting shows, events, and parades. There's something magical about walking around the old fashioned buildings, visiting each era and location, and experiencing life the way people of Detroit might have in the old days. With spring sneaking up on us and the uncommonly nice weather that Michigan's been experiencing off and on lately, Greenfield Village should be added to your "to visit" list. Not sure what to do while you’re there? Greenfield Village’s website is incredibly helpful and full of ideas on the best way to plan your trip, but here are a few of our favorite Greenfield Village attractions. Enjoy tea and baked goods at Cotswold Cottage in the center of Greenfield Village. The old fashioned stone cottage, surrounded by an intricately planned, brightly colored garden, is stunning – and the tea and bakery items are a delicious treat to sneak into the middle of your visit. If you’re there at the right time, you can catch a civil war reenactment at Greenfield Village. Perfect for the history buff in your family, these interesting events make for an action-packed blast from the past. In fact, coming up this May, there will be a Civil War Remembrance event at Greenfield Village. If you’re planning to visit around then, this reflective celebration will make for an exciting visit. Between the ferry boats, the Model T’s, the trains, and the horse drawn carriages, there are so many different periods of transportation that Greenfield Village captures. Try just one or test them all out to compare. Interested in ending your trip with dinner? The Eagle Tavern is a fun experience that’s not to be missed. Not only is the entire dinner menu authentic to the time period, but you sit at long tables that are shared with other diners, true to the old tavern style. Meet some new people, try some new food, and enjoy! Do you have a favorite activity or spot in Greenfield Village? Let us know in the comments! Michigan's many lighthouses are often a tourist's delight during the hot summer days on the great lakes. However, what many people don't realize is how beautiful many of Michigan's lighthouses are in the icy cold winter months. If you're feeling adventurous, check some of these out after the next big winter storm. This beautiful lighthouse at the tip of the Leelanau Peninsula marks the Manitou passage. In the winter, you can participate in their Keeper Program where lighthouse enthusiasts can spend a week as the lighthouse keeper, providing historical stories to visitors and maintaining the building as well as the grounds. Near the Mackinac Bridge in Lake Michigan, the White Shoal Light sits like a candy cane beacon off the shore. This bright red lighthouse dons a sheet of ice and snow every winter. On the pristine, uninterrupted Mackinac Island, the Old Mackinac Point Lighthouse looks majestic as ever in the middle of the fresh snow. This stunning photo of the Saint Joseph Lighthouse has gone viral - and we can see why. The ice formed on this lighthouse is breathtaking. If you're looking for a quaint castle getaway, look no further than Henderson Castle Inn. Kalamazoo, Michigan's Henderson Castle is known to be the "Jewel of Kalamazoo" and provides a once-in-a-lifetime experience for guests. The castle, originally built in 1895 by architect C.A. Gombert for Frank and Mary Henderson. According to the recounting of Henderson Castle's history, the castle cost a grand total of $72,000 to build and the plans included seven baths, a third-floor ballroom, and an elevator. The castle is now an inn that offers a magical experience to guests and visitors alike. From the newly installed hot tub on the roof to a wide offering of tours and events, Henderson Castle Inn is sure to delight. Dining at Henderson Castle Inn is magnificent, to say the least. Their every day menu is full of gourmet delights such as caviar appetizers and prime steak entrees from their traditional-style chop house restaurant. However, they also offer breakfast, high tea, a full bar with unique and hand crafted cocktails, as well as specialty reservations for holidays (like the upcoming Valentine's Weekend). If you're interested in enjoying your time at Henderson Castle by taking a historical tour of the building and estate, they have you covered with a wide variety of options! Whether you're looking for a tour focused on history, architecture, wine, or all of the above - Henderson Castle has a total of four specially packaged tours to select from. Henderson Castle Inn's winery is an instantly winning way to spend your visit. Their wine "cave" is a specially designed and constructed underground room cut into the hill adjacent to the castle. All fruit is organic, and you can overlook their beautiful vineyards and estate from the stunning patio while enjoying your vino. Looking for some genuine relaxation and restoration during your stay? Henderson Castle Inn's spa offers facial, Swedish massage, sugar scrub, and mud wrap services. 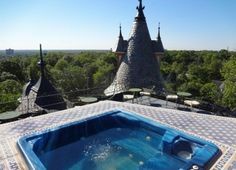 You can also take advantage of their amazing rooftop hot tub. There are rumors and speculations about whether or not Henderson Castle is haunted. There have been stories of events that can't be explained and other spooky happenings at the castle - though none of these "happenings" have truly been confirmed. Still, the idea adds an element of excitement to any vacationer's trip. Do you have a favorite Michigan inn or B&B? Let us know in the comments! We're always interested in learning more about cool places to stay in the mitten. The next time you're in Fenton, Michigan, you have to visit Crust. This adorable bakery is sure to be a hit and will leave you smiling - no matter what you order! Crust opened their doors in downtown Fenton in 2012, and have made their mark with outstanding artisan breads and pastries. What's their menu look like? Crust specializes in baking top of the market, artisan bread. Their selection includes classics like sourdough and rye, but also includes seasonal flavors and daily bakes. Although crust is renowned for their incredible bread selection, they also offer cookies, muffins, scones, decorated event cakes, fruit pies, breakfast and lunch entrees, and, of course, freshly baked donuts (just to name a few of their menu features!). As amazing as their baked goods may be, a visit to Crust is more than just a great opportunity to snag a donut. Their entire kitchen is behind large glass windows, where guests can watch the professional bakers work their magic. They also regularly open their doors for public tastings, tours, and baking classes. Crust also offers catering services, and they invite their loyal customers to join their Flour Power eClub, where you receive regular updates, offers, and you get 50% off your 13th purchase. Crust is also committed to enriching the communities where they work. If donuts and other delicious foods aren't reason enough to love Crust, then their involvement in Michigan communities definitely is. From the day they opened, Crust has been committed to revitalizing and giving back to their hometown Fenton community. As they've expanded, Crust has gotten involved in Farmer's Markets, philanthropic activities, and other local community events. They believe that, "It is an important part of CRUST’s mission to give back to the communities in which we operate, and we take our stewardship of this community very seriously. Family-owned businesses like CRUST can help sustain smaller communities like Fenton, which is why we’ve committed to active roles in foundational organizations like the local Chamber of Commerce, Fenton Community Center, Fenton Rotary, the Downtown Development Authority and local arts council." No worries! Crust's pastries and breads can be found in a bunch of equally wonderful restaurants, cafes, and specialty food markets. You can also have their delicious baked goods shipped right to your door with their Online Store! Do you have a favorite Michigan bakery or donut shop? Let us know in the comments! Note: This isn't a sponsored or affiliate post - we just really like baked goods. Who doesn't? Looking to make some weekend plans but don't have any idea what to do? Look no further, because this weekend is Detroit's renowned National American International Auto Show! The auto show is made up of waves of big events, but the public show runs January 14th-22nd at the Cobo Center in Detroit, and there are many ways to get involved. This one's for you futuristic vehicle fans out there. The Eye on Design Awards honor the best production of concept vehicles making their debut at the auto show this year. Check out some of the latest designs and most interesting prototypes in the world - and see who the judge panel declares the winner in several different categories. Are you an educator interested in taking your class to the show? The NAIAS Education Day is on Wednesday, January 18, 2017. The event is set up specifically for educating young minds about the auto industry, and includes lesson-plans, tours hosted by experts, career information, and hands-on activities. Love cars but also need to get your Saturday morning run in? No problem. The Auto Show 5k on Saturday, January 14, 2017, has you covered. The race starts at 8:30 A.M. at the Joe Louis Arena and ends in time for the opening of the public show. Military Day is Tuesday, January 17, 2017, and both military and veterans providing I.D. will receive a discount on tickets. Want to take the kids? Family Day is Friday, January 20, 2017. There will be musical performances, giveaways, and on-screen characters for you and your little ones to meet! This is one of Detroit's biggest and best events of the year - get out and enjoy it! Tickets are $13.00 each and the Auto Show Program are $3 each. Senior and children's tickets can only be purchased at the door. Check out their website for more information. Needing to wear 10-12 layers of clothing and 4 pairs of wool socks to take the kids to the bus stop. Hey, it always pays to be prepared. And after that five minute jaunt hauling the extra weight of all your layers you've pretty much gotten your work out in for the day. Congrats! Always shoveling the driveway as long as the snow drifts are 6 feet or less. Six feet is really our limit, though. Much more than that and you might as well just tunnel your way to work. Enjoying a lively day of snowmobiling even if the weather channel advised that being outside "wasn't safe" because of "hypothermia-causing temperatures." What's a little bit of hypothermia among friends? We're not going to let that mumbo-jumbo get in our way of a fun weekend of outdoor sports. Expertly drifting across black ice patches like we were born to drive for NASCAR. Bonus points if you teach your kids to put their hands up in the air like they're on a roller coaster. Failing to understand when states farther south of Michigan's borders seemingly panic over their upcoming "snow storm." We Michiganders know that you'll need more than bread and milk to survive when you're trapped in your house for a week without power. And 44 degrees is not a polar plunge (looking at you, Arizona). We're proud that someone finally recognized how epic Michigan winters are (thanks, Thrillist), but what truly deserves some recognition are the local Michiganders who endure the abnormally long 4-6 month winter stretch of pure gray, snowy, drizzling misery. We go through every day with a smile on our face. The smile may be literally frozen on our face, but it's there nonetheless. There is no shame in a head-to-toe snowsuit. It’s cold. Really cold. So, if you have to bundle up to the point where you can’t put your arms down, don’t be embarrassed. You’re guaranteed to be much warmer, safer, and more comfortable than everyone else out and about this winter. If you haven’t already, sign up for Netflix, Hulu, or another online video and TV subscription service. Since you won’t be spending your time playing outside, now might be the time to find a video subscription service that fits your needs and sign up. The long, cold weekends of winter have really just begun, so you could have a lot of fun popcorn-and-a-movie nights ahead of you. Or, if binge watching a series is more your thing, this is the perfect season to commit to that show you’ve been dying to see. It’s true that winter’s cold can be unpleasant, but the rising gas and electric bills that come with keeping your heat on aren’t any fun, either. To cut back on costs while keeping your home warm, you can insulate your windows. It’s temporary, so the plastic insulator sheets can come down when the weather gets warmer, and it helps to trap the heat inside your home while also preventing the cold from coming in through any cracks. Stock up on food staples. You never know when the power is going to go out, or when you’re going to get snowed in. During Michigan’s harsh winter months, it’s not a bad plan to have a few food staples on hand in case of an emergency. Pick your favorites – vegetables, soups, and beans are all good options. A mix of canned and frozen foods is a good idea, as well. Plus, even if you don’t use it during an emergency, a frozen pizza on a night that the roads are dicey is probably a better idea than running out to the store to pick something up. Even when your pup wants to go play in the freshly fallen snow, the bitter cold temps can be dangerous for them, too. Not letting them outside for longer than a quick bathroom break, or making sure they’re bundled up in a sweater of their own can cut down on temperature related risks. But there are other problems that winter poses for Fido – the chemicals in de-icing salt can be harmful to their paws. Luckily, most stores sell a “pet friendly” de-icer compound like this one from Road Runner. Michigan’s winters are tough, but we know that you’re tougher. What are your Michigan winter survival tips? Let us know in the comments! It’s that time of year again – we’re celebrating the end of 2016, and all of its ups and downs, and getting ready to welcome 2017. Not sure what your New Year’s Eve plans are? We’ve got you covered with the following list of five December 31st celebrations across the great state of Michigan. With Grand Rapids deciding to skip their annual free ball-drop event this year citing costs and lowered attendance in recent years, nearby city, Ludington, has opted to accommodate locals with their own ball-drop celebration. Activities will begin around 9 pm, and will include an entertainment tent and a beer garden. Not interested in the street party? Sandcastles Children’s Museum has a balloon drop event from 5-8 pm for families looking to avoid the crowds! Check out their website for more information. Looking for a quieter getaway this New Year’s Eve? Give Mackinac Island’s celebration a try! Snowshoeing, cross country skiing, and a quaint downtown atmosphere make this the perfect peaceful winter escape. Cawthorne’s Village Inn offers New Year’s Eve hayrides, several shops open their doors to guests and tourists, and several restaurants offer celebratory dining options. Lansing has a lot to offer locals this New Year’s Eve. From bars with New Year’s Eve specialty brews on tap to a murder mystery masquerade ball, Lansing has you covered. They even have a venue throwing a taco and punk-rock party! Find what celebration option is right for you – check out the list that the Lansing State Journal has curated. However you choose to celebrate, you won’t go wrong with one of these amazing options. To access Kalamazoo’s New Year’s Eve celebration, they sell customized buttons you wear as your admissions ticket for $5 pre-sale. Grab a bite at one of Kalamazoo’s many amazing restaurants or at Bronson Park where there’ll be concessions. After that, check out a performance, and watch the ball drop with a fireworks show to close the night out. They’ve truly pulled out all the stops to make the night memorable – build your perfect evening by picking and choosing which events you go see! Of course, the granddaddy of all Michigan New Year’s Eve celebrations is Detroit’s “The Drop.” With two stages hosting a wide variety of entertainment and musical acts all night, as well as a family-friendly kid’s zone, you can’t go wrong with this bash. In addition to the traditional entertainment, there will be carriage rides, ice skating, acrobats, fire jugglers, and a huge selection of food and beverage vendors. However you choose to ring in the New Year, please celebrate responsibly. 2017 is right around the corner, and we can’t wait to see what it brings. Here’s to another year! How will you be celebrating this New Year’s Eve in Michigan? Let us know in the comments! Mount Brighton, located in Southeast Michigan, is a family-friendly ski resort that’s a must-visit this winter season! With five lifts, and over 130 acres of 24 groomed trails, you’re sure to find a spot that’s absolutely amazing, and will keep you coming back for more. Mount Brighton opened to snow sport lovers in 1960 in Brighton, Michigan. The slopes had been man-made – a labor of love so that all of Southeast Michigan locals and visitors could enjoy skiing despite there not being any high or steep enough natural mountains or hills in the area to accommodate the winter sport. The vertical rise at Mount Brighton is 230 feet, and the area has a total of 24 slopes. 30% of the slopes are beginner-level, 40% are intermediate, and 30% are considered to be advanced. There are five chairlifts, seven surface lifts, and the facility has the capacity to pull 17,200 people uphill per hour. If you’re looking to rest and relax during your trip, there are four bars and restaurants on site. Mount Brighton is open Monday-Friday 10am-10pm, and Saturday-Sunday 9am-10pm during the 2016/2017 season. If you haven’t visited in a while, during the 2013/2014 season, $10 million worth of updates were made to the facilities at Mount Brighton, that included new chairlifts, improved learning terrain, all new and upgraded base-area amenities and facilities, and a new Children’s Ski and Ride School Center. In addition to their traditional levels of trails, Mount Brighton also offers five terrain parks that are designed for every skill level. Mount Brighton offers children’s group lessons for skiing and snowboarding, teen and adult group lessons, as well as private lessons for some one on one training. They also offer several specialty programs including terrain park training and a Ski Girls Rock program for young girls that not only teaches them the basics of the sport, but empowers them, builds their confidence, and helps them with teamwork and social skills. Mount Brighton does expect all skiers and snowboarders to be responsible while they’re enjoying their respective sports. It’s always best to know what your ability level is and not to push yourself to a new territory where you’re uncomfortable. They do have an onsite ski patrol who are there to provide first aid for any injury and to promote the safe and responsible participation of all visitors. Have you been to Mount Brighton? What’s your favorite ski spot in or around Michigan? Let us know in the comments! Traverse City, one of Michigan’s most popular vacation destinations in the warmer months, turns into a winter wonderland of recreational activities for those looking for a snowy getaway. Whether you’re excited about seeing some of Michigan’s snow-covered outdoors, or you’re more interested in staying cozy inside, Traverse City’s winter season has countless attractions for every visitor to enjoy. In the winter, Traverse City becomes home to all of Michigan’s great winter sports. With over 200 miles of ski and snowmobiling trails, there’s plenty of room to explore. There are also amazing snowshoeing paths, as well as downhill skiing and snowboarding at several recreation areas. Go birding in the snow-covered landscape for a quieter outdoor activity, or enjoy hiking, ice fishing, sledding, or tubing at any of the nearby parks. Traverse City truly covers all of your winter sport bases. Check out the local ski areas – Mt. Holiday and Hickory Hills – for some prime winter activity time. Not interested in facing the ice and snow to get in some outdoor recreation? Traverse City won’t leave you out in the cold (literally)! Catch the Traverse Symphony Orchestra at the City Opera House, or take the family to the Great Lakes Children’s Museum for a day of fun and interactive learning. There are several historical and nature museums local to Traverse City, including the Denos Museum Center, which is part of the Northwestern Michigan College Campus, and features rotating exhibitions. Currently, they have their Inuit Gallery, Discovery Gallery, and a Grandmother Power: A Global Phenomenon exhibit, and an exhibit that features and explores the stunning landscapes of Iceland. You can even visit the Interlochen Center for the Arts, located a few miles from Traverse City proper, where they host concerts, plays, and art showcases. If you’re looking to escape the hustle and bustle of daily life and fill your time with some R&R, Traverse City still has you covered. With several luxury salons and spas, you can fill your days with aromatherapy massages and cherry infused pedicures. After you’ve been adequately pampered, spend your time shopping around Traverse City or visiting one of their renowned wineries for a tasting. No matter how you choose to spend your days in Traverse City, you can rest assured that your nights will be just as fun-filled. At the Grand Traverse Resort & Casino, the Leelanau Sands Casino & Lodge, and the Turtle Creek Casino, you can enjoy a night of drinks and games during your winter visit. Traverse City also boasts several breweries and distilleries, all of which are must-visits, and will make an excellent end to your stay. Chilly temperatures and icy weather doesn’t mean you have to stay inside. Michigan’s beautiful outdoors is just as stunning with a fresh coat of fallen snow, and bundling up in your winter gear for a day hike is the perfect way to enjoy it. The best part? Since you’re only hiking for a little while during the day there’s plenty of time to warm up by the fire with a cup of hot chocolate when you’re all done – no pitching a tent required. We’ve put together a list of seven amazing winter day hikes, all with varying mileage and location. 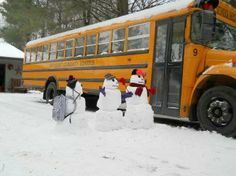 Don’t let the cold keep you locked away – get out there and experience Michigan’s amazing winter wonderland firsthand! This paved, 5.4 mile trail offers a fun alternative to traditional woodsy-hiking. It winds through downtown Grand Rapids along the banks of Grand River, offering you an interesting tour of the city. Walk along the 3 miles of Saginaw Bay’s shoreline and take in the icy lake views at this beautiful state park get away. Interested in more than a day trip? They have off-season rates for their camper-cabin, and you can also participate in cross-country skiing! This lengthy trail stretches from Grand Rapids to Cadillac, and winds through many of the surrounding communities as it used to be a railroad. Perfect for picking and choosing a section of trail to check out in a neighboring city you might not have visited! This dog-friendly park gives you an “up north” vibe without leaving the suburbs of the Lower Peninsula. The park has a total of 4, 461 acres of usable space, and you can participate in activities like ice skating, snowkiting, hiking, skiing, snowboarding, and sledding. Pictured Rocks isn’t just a destination for the warmer months of the year. Visit the national lakeshore during Michigan’s winter to see stunning ice and snowscapes, and enjoy a hike along one of their countless trails. The Holiday Nature Preserve association puts on a free 60-90 minute guided walk at a leisurely pace through the Holiday Nature Preserve at the Ellsworth entrance on December 10th at 12 PM. What better way to enjoy a day in a winter wonderland! Kensington Metropark offers a variety of winter activities to patrons, including ice fishing and ice skating. What’s more, their stunning wooded trails surrounding Kent Lake make for excellent winter day hiking. Whether you’re an Eggo waffle person, or you can’t live without a bowl of Fruit Loops in the morning, everyone can appreciate a Kellogg’s breakfast. Kellogg’s has been a leader in the breakfast game for a while, and they’re brought to you by the great state and people of Michigan! Kellogg’s was founded by John Harvey Kellogg and Will Keith Kellogg on February 19, 1906, in Battle Creek, Michigan. They were originally called The Battle Creek Toasted Corn Flake Company, and they originally only produced corn flake breakfast cereal. John Harvey, who had his medical degree, enthusiastically abided by a strict dietary lifestyle that revolved around vegetarianism and forbade any tea, coffee, alcohol, or condiments. The discovery of toasted cornflakes was solely due to him searching for a dietary option for his patients who needed something simple and healthy. However, it didn’t take long after the toasted corn flake was created for everyone to want to try it. John Harvey and Will Keith started advertising and selling their cereal through mail order, reaching a broader base of hungry customers. In the beginning there was ruthless competition, as several cereal brands had come out with similar products at the same time as the Kellogg boys. But with perseverance and determination, they grew their business in Battle Creek, Michigan, and expanded their product line into countless markets beyond just breakfast foods. Today, Kellogg’s is sold in 180 countries, and it is still headquartered in Battle Creek, though its Project K plan involves moving a large portion of its work to the Grand Rapids area. Battle Creek is still known as the Cereal Capital of the world. Interested in visiting? Battle Creek offers many fun, family-friendly tourist attractions. To begin in your 110 year anniversary celebration, you can start at the Dr. John Harvey Kellogg Discovery Center at the Historic Adventist Village. Not crazy about touring the Kellogg Discovery Center? No big deal! Battle Creek offers many other attractions and museums, including the Kellogg House Park, the Kids’N’Stuff Museum, the Kingman Museum where you can explore natural history exhibits, and if you’re looking for a little more grown-up fun, the FireKeepers Casino and Hotel is also nearby. So, head on over to Battle Creek sometime soon for a visit, and explore one of Michigan’s historically significant cities! With Thanksgiving right around the corner, you’re no doubt preparing for all things overindulgent. Between the stuffing, mashed potatoes, various casseroles, pies, and the turkey (be it fried, brined, smoked, or roasted), why not balance the endless eating with a run? Whether you’re a brand new runner looking to jog a mile, someone looking to participate in a family friendly 5k, or a seasoned runner who’s been training for a 10k or half marathon, there are turkey trot runs all around the state of Michigan for almost any distance or difficulty level you can imagine. This run is in Joseph Delia Park, Sterling Heights, Michigan, on Thanksgiving. There is a 10k and a 5k run/walk, starting at separate times. All proceeds go to support the family of Molly Poe, who passed away unexpectedly in November 2015 at 26 years old, and was survived by her husband and two young sons. In Detroit, Michigan, the America’s Thanksgiving Parade Turkey Trot features a 10k, 5k, 1 mile run, and a few combination options. All runs take place on Thanksgiving. The races are all stroller friendly, and a DJ provides an amazing soundtrack to keep you motivated! Shelby, Michigan, is home to this annual ANTI-Turkey Trot hosted on Thanksgiving Day features a 10k, 5k, and a 1 mile run. The race is designed to be the opposite of most turkey trot races, the 5k and 10k start at 10 AM to promote sleeping in on the national holiday rather than waking up at the crack of dawn. Join approximately 2,000 runners in the 24th annual Grand Rapids Public Schools Turkey Trot this year! The run takes place on Thanksgiving Day, and features a 5k as well as a “Mini Trot” that’s free for ages 12 and under. It’s a great way to get up and moving and start an annual family tradition in the process! This 5k in Lansing, Michigan, circles through downtown Lansing, past the Capitol Building, and the state Christmas tree. This will be the Lansing Turkey Trot’s 16th year, and it takes place on Thanksgiving Day. Whether you have been doing an annual Thanksgiving run for a long time or you’re looking to try something new this year, these five races are sure to be a hit! This year, the Electric Light Parade in downtown Lansing starts at 6:00 PM at the intersection of Lenawee and South Washington Square. 11 high school marching bands from Lansing and surrounding areas will be decorated with countless lights as they march through the city center, competing for the Best Illuminated Band award – a $1,000 cash prize! With over 50 parade participants, including Granger, Meijer, and Sparrow, this year’s Electric Light Parade is sure to be both breathtakingly beautiful and endlessly fun for the whole family. Silver Bells in the City also features a holiday-themed village, full of local vendors representing the state of Michigan’s craftsmanship, skill, and a wide variety of products. It’s the perfect spot to grab free cider and cookies, shop around for locally made holiday gifts for loved ones (or for yourself! ), and visit with one another. It is located at 100 E Block of Allegan Street. Starting at 7:35 PM, The Steiner Chorale will lead a community singing event after the parade. The Steiner Chorale was founded in 1968, and is a 35-40 voice choir with an excellent reputation for quality performances in both traditional and non-traditional music styles. The massive official state Christmas tree will be lit at approximately 7:45 PM in front of Lansing’s State Capitol Building. A fireworks show will follow the lighting of the tree at approximately 7:50 PM. At 8:00 PM, SmithField will be playing at the Lansing Center. SmithField, comprised of Trey Smith and Jennifer Fiedler, are a rock country duo from Texas with a growing base of dedicated fans. With popular songs such as, “Hey Whiskey,” and, “The Good Old Days,” they’re sure to be an amazing show to see! Michigan is blessed with a mile long list of amazing craft beer breweries scattered throughout the state, and Grand Rapids is the mecca that hosts a huge number of them. If you live nearby or are just visiting, a brew tour is inevitable. However many breweries you choose to swing by, we’ve selected four that absolutely have to go on your “to visit” list. Brewery Vivant offers expertly brewed craft beer and delicious food all in an eclectic church setting. The stained glass windows, exposed ceiling beams, and lantern-esque light fixtures offer a cozy pub-like vibe for brew-fans. The brew masters here work in a Belgian inspired style, and they view the brewing process as a combination of brewing science, tradition, and artistic liberty. They offer brew tours, classes, and you can join their Monk Club which offers a variety of benefits including having your own personalized chalice stored behind the bar for when you visit. When you think about the breweries of Grand Rapids, Founders Brewing Co. is one of the first that comes to mind. Established in 1997 by Mike Stevens and Dave Engbers, Founders operates under the motto, “We don’t brew beer for the masses.” It’s true that their beer selection is packed full of a wide range of big bodies, intense aromas, and a complicated combination of flavors. These beers are undoubtedly exceptional, and make Founders Brewing Co. a necessary stop on your next Grand Rapids brew tour. A brewery with a long history in Grand Rapids dating back to the 1800’s, Grand Rapids Brewing Company has seen it all from its humble beginnings when six local brewers joined together to open Grand Rapids Brewing Company in the 1800’s, to its shut-down during prohibition, to its most recent reimagining and opening in 2012. Grand Rapids Brewing Company offers a variety of beers from light cream ales to big IPA’s, as well as a full food menu that includes their ”Wurst. Happy Hour. Ever.” event on Wednesdays ($10 Wurst plate, as well as several drink specials). With both their East Town and Harmony Hall locations, Harmony Brewing Company is able to reach Grand Rapids locals everywhere with their German-inspired brews. They brew their beer selection in intentionally small batches, giving them more control over the balanced flavors, and allowing them to brew a wider variety of beers to accommodate changing seasonal tastes in the local craft beer community – which means the menu is constantly rotating. Sounds like a pretty good excuse to visit more often to see what’s new on tap, don’t you think? With less than one week left until Halloween, it’s time to solidify some seriously scary plans. If you’re wondering where to find something haunt related to do this year, look no further than Michigan’s own Fear Finder! This handy website provides maps and links of all of Michigan’s finest haunted houses, corn mazes, cider mills, pumpkin patches, spooky forests, and more, and if you happen to be at one of their many Fear Finder locations all around Michigan you can pick up a copy of their 2016 Haunted House Guide – making it easier than ever to get scared this spooky season! Explore Michigan’s rich past with witches, scarecrows, and abnormal/paranormal activity. With testimonials paranormal investigators and historical anecdotes about the role of witches and scarecrows in Michigan’s culture, these articles are an awesome way to get psyched for this year’s Halloween, or to spook yourself a little before your next haunted house trip! Also found on Fear Finder is an online or downloadable PDF version of their carefully sought out list of Michigan’s Scariest Places. No matter what your frightening favorite is – whether you love a hard-to-crack escape room or you want a terrifying haunted house to attend with friends, Fear Finder has truly found an endless smattering of options. This booklet is a fantastic resource for not only some of the most spectacular Halloween haunts and family friendly cider mills, but also some amazing coupons and discounts for different Halloween attractions and events. Halloween in Michigan comes with so many fun activities for people with every level of scare-tolerance. Fear Finder helps Michiganders find pumpkin patches, cider mills, haunted houses, and their fear finder map shows all of the locations where you can pick up your Fear Finder’s 2016 Premiere Haunted House Guide – perfect for mapping out your Halloween activity tour. Interested in snagging some scary good Halloween discounts at The Michigan Outfitter? Now through October 31st you can follow us on Facebook or Instagram, or subscribe to our newsletter for a 15% off discount coupon! Michiganders have a few undeniable identifying qualities. Whether you’re Michigan born and raised, or you’re just an enthusiastic Michigan-transplant, if you can say, “Yep, that’s me!” to any of the following on this list, your Michigan roots run deep. You know that you always have to dress in layers, because the weather changes from parka-and-snow boots to t-shirt-and-sandals in an afternoon. You know that there are only two seasons: Winter and Construction. Your 4th of July plans always involve a lake. You believe that Vernors is actually a cure-all home remedy. You show people where you live on your handy dandy hand-map. Taking a sick day on the first day of deer season isn’t frowned upon. Out-of-staters call your driving aggressive, you don’t understand how they get anywhere without going 80 mph on the highway. You know that missing a turn isn’t that big a deal when there’s another Michigan left a few hundred feet ahead. You think tying a plastic sled to the back of a four-wheeler is some good, quality winter fun. You know the difference between Michigan State and University of Michigan, and you root for one of them, never the other. Unless the other is playing Ohio State, then you feel okay about rooting for your rival team and hoping they win against the Buckeyes. If the idea of hiking around a lake on an island in the middle of a larger lake doesn’t seem at all odd to you. You shop at Meijer at least semi-regularly. You can swap venison into most beef-recipes and not realize the difference. You’ve used Canadian coins at the store and they’re always accepted. Both heat and A/C systems are not an optional feature in your home, and you often switch between them on any given day. The Pure Michigan radio commercials with Tim Allen make you tear up a bit every time, and you’re not ashamed of it. It doesn’t matter what type of person you are, Michigan offers fall fun for everyone imaginable. Whether you’re into exciting explorations or you’d rather sit back and sip some cocoa in your pajamas, this great state has something to offer you to make this fall season one to remember. Michigan is known for having some amazing county fairs during the summer, but what about things to do during the fall? Fear not, because Holland’s Fall Fest on October 14th and 15th is just one of many fall festivals held throughout Michigan during the autumn season. This year during Fall Fest, eight of the nation’s top voted pumpkin carvers will begin the festivities by carving jack-o-lanterns between 3 PM – 7 PM on October 14th. On Saturday October 15th everyone is encouraged to come out to the Farmer’s Market and participate in any number of autumn-themed games or take part in a fall crafting station like pumpkin painting. Saturday afternoon will bring the pumpkin carvers back to downtown Holland where they’ll be creating amazingly designed 3-dimensional pumpkin displays for everyone to enjoy. You’re sure to love this fall-frenzy festival, so get out there this weekend and enjoy the cool weather and fun activities! More interested in curling up with a good book or a favorite movie? RentMichiganCabins.com offers some amazing vacation deals on cabin rentals all over Michigan so you can sneak away for a fall trip and cozy up by a crackling fireplace. Whether you’re looking for a place on the water or tucked away in the woods of Michigan’s U.P., you’re guaranteed to find a place that fits your weekend getaway needs this fall with all the comforts and amenities of home. Don’t forget to pack your slippers! Visit Brimley’s Pumpkin Farm in Mason, Michigan, with the family this fall for hayrides, a family-friendly corn trail walk, and to pick out the best pumpkin for carving! Brimley’s has been family owned and operated for 20 years and they offer a wide variety of pumpkins all grown right there at the farm. Nothing says fall in Michigan like a color tour, but why take the traditional drive up north? The beautiful autumn colors can be much better appreciated when you’re up close and personal, hiking through the woods on any one of Michigan’s amazing trails. We suggest Escarpment Trail or Warren Woods Natural Area for some amazing views of the state’s great outdoors. Do you have a favorite Michigan fall activity? Let us know! You’e craving a midday pick-me-up, but desperately hope there will be a long line just so you can look at the menu a little longer. If you’re consistently lost trying to order the right caffeinated drink, you’re not alone. Right in the middle of downtown Holland, MI is a coffee shop that has answered the desperate plea of the indecisive coffee drinkers of Michigan. All you need to know is what kind of mood you’re in, and the barista will take care of the rest. Lemonjello’s Coffee is a local favorite in Holland, MI. Students from the area as well as the busy bodies around town will stop by to either to grab a joe and go or sit down and taste every flavor of their latte while reading a good book. Something truly unique about Lemonjello’s is that they know exactly what latte will match your mood. The options are “Stress Reliever,” “Invincible,” “Indecisive,” “Nonchalant,” “Comfort,” “Mellow,” “Buzzed,” or “Miel.” It doesn’t matter what mood you’re in, they have you covered. If you’re looking for a beautiful trip up north to admire the fall foliage, look no further than Munising, Michigan. Located in Michigan’s Upper Peninsula, Munising is situated in the Hiawatha National Forest, and is located near Michigan’s famed Pictured Rocks and Grand Island National Recreation Area. Munising has a population of 2,500, giving it a charming small town feel, but the booming tourism industry ensures that visitors will never run out of things to do. Start your morning in Munising off right with a stop at Falling Rock Café and Book Store. This coffee shop serves a wide variety of breakfast and lunch items, specialty coffees, and ice cream, in the center of a delightful bookstore that’s been said to be the center of the Munising community. Visit one of Munising’s 15 stunning waterfalls. From Bridal Falls to Wagner Falls, they’re all beautiful and sure to take your breath away. Make sure you stop in the Gift Shop at Horseshoe Falls for some of The Michigan Outfitter gear. Waterfall info. Hike to Chapel Beach. Chapel Falls is a short 1.4 mile hike from the trailhead, and another 1.8 miles puts you at Chapel Rock on gorgeous Chapel Beach. Enjoy the cool fall weather and take a walk on the lake. Take a Pictured Rocks Cruise. Cruises are held May-October, and provide you with the perfect opportunity to see many of the most notable Pictured Rocks landmarks including East Channel Lighthouse, Grand Island, Miners Castle, Painted Coves, Spray Falls, and Lovers Leap. Grab dinner at Foggy’s Steakhouse at the end of the day. A local favorite, Foggy’s offers warm, friendly service and delicious dinner options in a fun environment! The restaurant has an in-house charcoal grill, a full bar, and an excellent wait staff who are sure to make you feel right at home. Looking for something a little less outdoorsy to do on your trip? Munising’s Garden Bay Winery might be just what you’re looking for. Garden Bay is a small, quaint winery whose motto is, “Made with a lot of berries and a lot of love.” Visit their tasting room for some indoor fun on your Munising vacation! Munising, Michigan is sure to delight all visitors with its delightful small town atmosphere, beautiful scenery, and wonderful restaurants and shops. Have you been to Munising? Have another U.P. favorite destination? Tell us about it in the comments below! This orchard truly has everything for your day of family fun. From hay rides to pick apples in their expansive orchard, a cider making display, a farm animal barn, train and pony rides, and special weekend events where they bring in inflatable slides and bounce houses, Spicer Orchards really has something for kids of all age groups. And, of course, their donuts and fudge are a sublime way to end your trip. An incredibly large cider mill and orchard, Uncle John’s Cider Mill offers countless activities for visitors. Uncle John’s boasts a massive cider mill where you can watch cider being freshly made, a shop full of pies, fudge, donuts, souvenirs, and treats, a cidery and winery on site, train rides, hay rides, a kid’s activity play corral, an orchard for apple and fruit picking, regular events such as inflatable jumping pillows, a corn maze, and a 5k trail where they frequently host high school and adult races. This list is carefully crafted with market research, sale statistics and blind taste tests. What do you think of our list? Who do you recommend we pickup next? Possible the greatest song ever recorded.